Course overview | Barrels come in all sorts of shapes and sizes, but which one will be best for you? With so many to choose from, you can’t possibly try them all, but we can help you experiment and discover what makes a difference for you. Basing our trials around barrels designed by the legendary American technician, Hans Moenig, we will show how the length, diameter, bore taper and socket shape change the tuning, twelfths and sound of your instrument. As well as experimenting with a variety of ready made barrels, you will have the opportunity to design your own barrel, even make it yourself under supervision if you want. The fully equipped workshop will also be used to modify barrels during the day to enhance the learning experience. Daniel is the founder and director of Cambridge Woodwind Makers as well as being an internationally renowned classical clarinet maker. 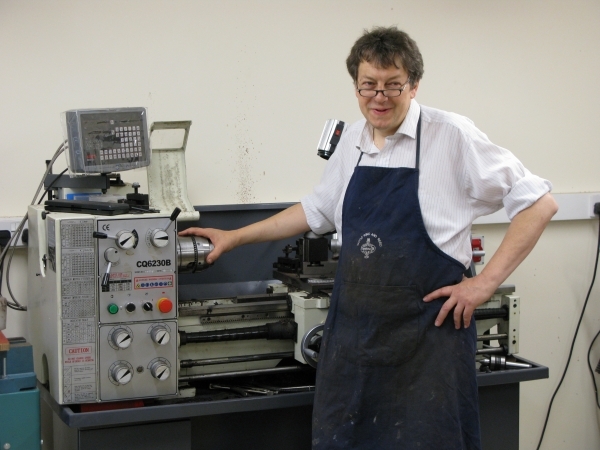 Daniel has been making classical clarinets since 1984 and has successfully guided students with no prior handwork skill to complete fantastic instruments. Daniel started an instrument making and repair workshop in 1981, this then became Wood, Wind & Reed specialist music shop in Cambridge. The course fee covers all the materials, use of tools and expert tuition. It also includes light refreshments. What to bring | Your clarinet(s). You will need to wear workshop appropriate clothing; no tassels, closed toe shoes etc. Aprons and overalls are available. Remember glasses if you need them, the work involves looking at small details. If you wish to bring any of your own tools please make sure they are marked or labelled.